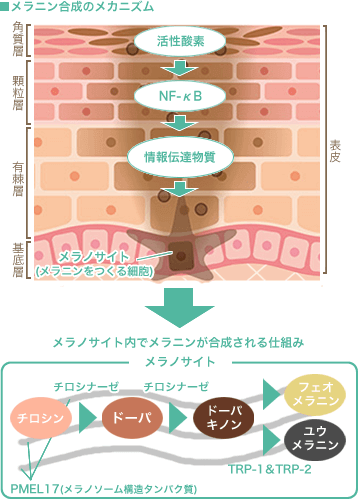 Cosmetic Ingredient Review（2010）「Final Report of the Safety Assessment of Kojic Acid as Used in Cosmetics」International Journal of Toxicology(29)(6),244S-273S. Scientific Committee on Consumer Products（2008）「KOJIC ACID」OPINION ON. M Nakagawa, et al（1995）「Contact allergy to kojic acid in skin care products.」Contact Dermatitis(32)(1),9-13. Y Mishima, et al（1988）「Induction of melanogenesis suppression: cellular pharmacology and mode of differential action.」Pigment Cell Research(1)(6),367-374.